We are proud to include our Evolution flush casement windows, they are The Timber Alternative window. Our passion for detail and quality has found that these wonderful windows merge the traditional handcrafted values of timber with the very latest technological enhancements in PVCu. 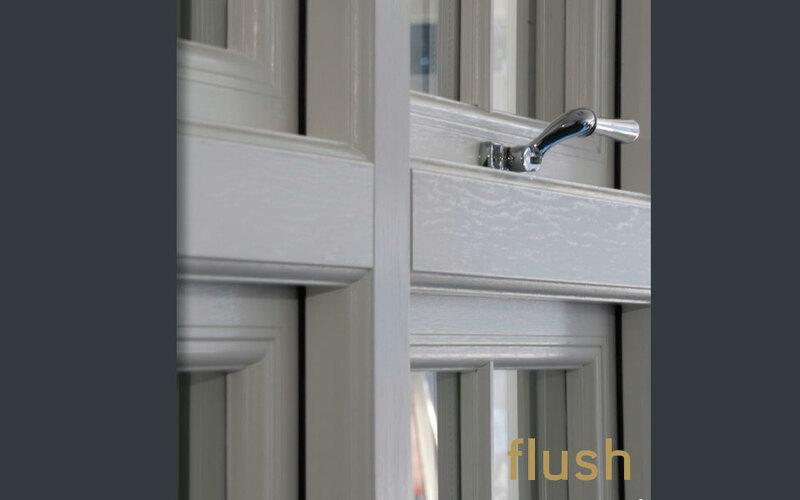 The new Flush casement timber- alternative range by Evolution has been designed to emulate the beautiful aesthetics of traditional flush casement timber windows, but without the drawbacks. No expensive maintenance, no laborious sanding and painting. This highly energy efficient window comes with an A rating as standard, not as an added extra. And the excellent security features ensure your home is always safe, warm and secure.